Art became a creative and therapeutic outlet, when as a young teen, she felt the weight of social and academic pressures. “Expressing myself through art was empowering,” she says. Bridgette painted through high school and went on to receive her Bachelors of Fine Art from California College of the Arts where she majored in Painting & Drawing and minored in Visual Studies. Her passion led to a full-time creative career resulting in partnerships with brands such as Anthropologie and Serena & Lily. 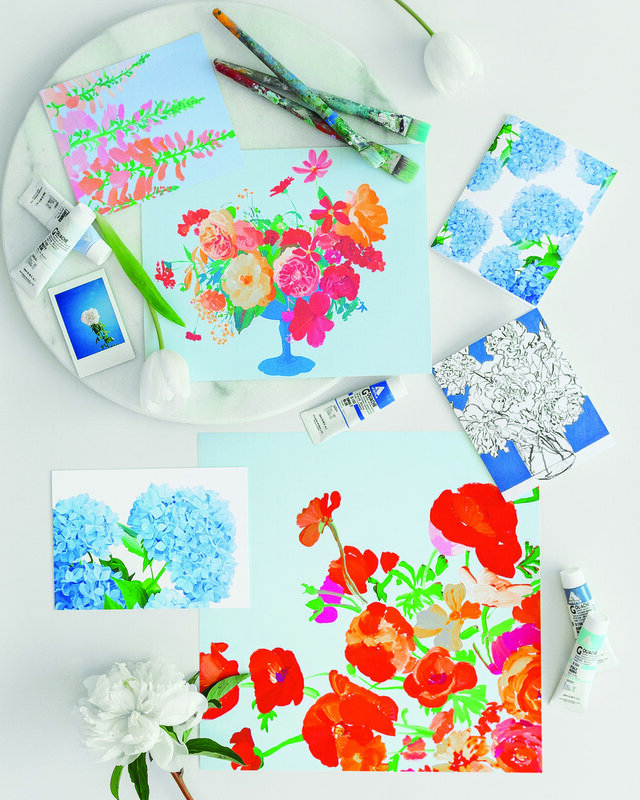 Every Paint & Petals design is created from a brightly colored hand-painted work of art. The collection is full of vibrant color and includes an assortment of fine art, home decor and goods for gifting. In 2019 Paint & Petals continues to expand through partnering with exciting retailers such as specialty fine food stores and local garden nurseries. Bridgette brings her brand into new locations and connects with customers through Meet & Greets, live in-store painting demonstrations and workshops. “I love sharing art with others,” says Bridgette. “Paint & Petals has given me the opportunity to meet so many bright and kind individuals.” For questions regarding orders, commissions, workshops and more, email orders@paintandpetals.art and reserve your space today.